Just like the authentic matcha milk jam they make up there in Japan, premium dairy milk, cane sugar, and our own Zefer 100% Pure Matcha from Uji, Kyoto, are slow cooked until they thick, creamy, and fragrant. 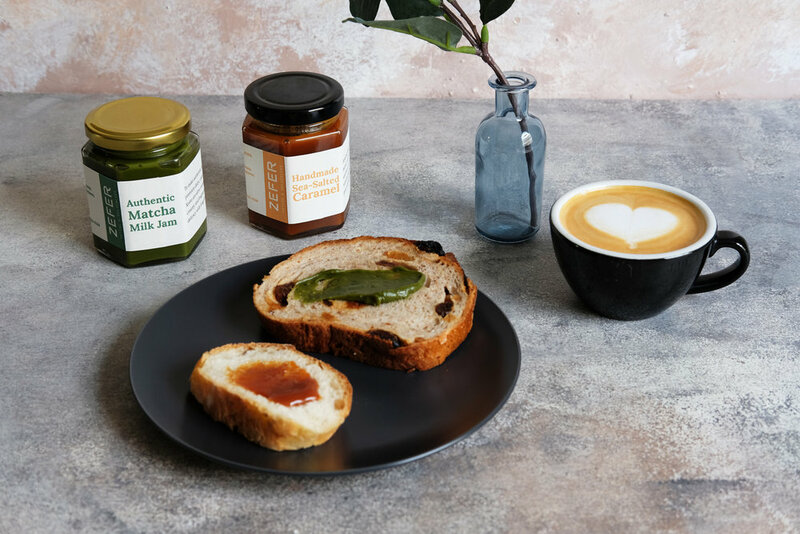 Sweet, buttery, and tasty with long lingering matcha aftertaste, spread this Uji Matcha Milk Jam on toast, biscuit, or as a topping on your favourite ice cream for your new snacking quick fix! Spread it on toast, or whatever! Your new favourite breakfast buddy! Have you tried it with our Rich Matcha Pound Cake?